While some people have no particular problems stating in a word or two how they self-identify, others may struggle with this task, as it stirs up emotions, doubts, and deeper reflections. 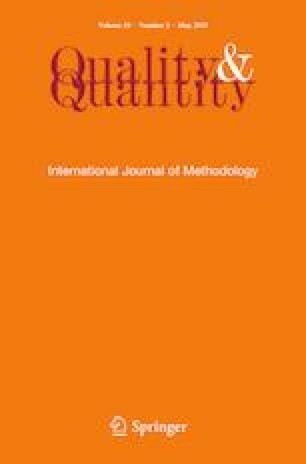 This paper proposes methodology for analysing short free-text comments in relation to immigrants’ self-identification. It builds on a quantitative study concerning migration to Israel by English-speakers, concentrating on a qualitative analysis of their self-identification in the light of 249 free-text comments. The constructs of anchoring and objectification from the interdisciplinary theory of social representations guide the interpretation of results obtained in a two-step process: classical qualitative content analysis followed by the Multiple Correspondence Analysis. The findings demonstrate that at least for some immigrants in Israel, self-identification appears to be a complex process, in which single and hyphenated identifications concentrate more on the negative aspects or challenges of acculturation, while self-identifications based on religion and social role focus more on the positive view of giving advice to others. The authors wish to acknowledge the Anglo-List website for English speaking immigrants to Israel that has hosted and promoted the online questionnaire. The authors declare no direct financial benefit from this research.